Páginas Web Anarquista: What is Anarchism? 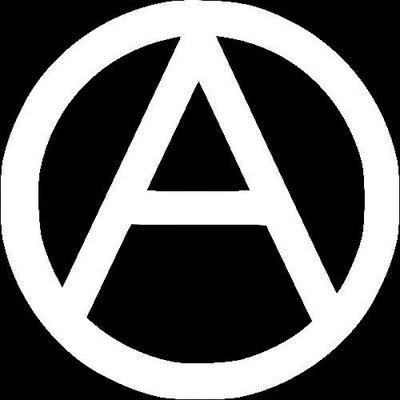 Definition of Anarchism (Greek anti, and arke, contrary to authority) is the name given to a principle or theory of life and conduct that conceives a society without government, that harmony is achieved, not by submission to law, and obedience to authority, but by free agreements concluded between the various groups, territorial and professional, freely constituted for the production and consumption, and to the satisfaction of the infinite variety of needs and aspirations of a civilized being . In a society developed on these guidelines, voluntary associations have begun to cover all fields of human activity would acquire an even greater extent to the point of replacing the state in all its functions. They would represent an interwoven network, composed of an infinite variety of groups and federations of all sizes and degrees, local, regional, national and international temporary or more or less permanent, for all possible purposes: production, consumption and exchange, communications , sanitation, education, mutual protection, defense of territory, etc. ; and, secondly, to satisfy a growing number of scientific, artistic, literary and social relationship needs. Moreover, such a society would pretend not immutable. On the contrary, as in the whole of organic life, harmony derive be a perpetual adjustment, variable adjustment of the balance of the multitude of forces and influences, and this adjustment would be obtained. In short, if no force might enjoy the special protection of the state. If society, accordingly, should be organized according to these principles, limited man can not see, in the free exercise of their capacity for productive work by a capitalist monopoly held by the state; or in the exercise of his will for fear of punishment, or by obedience to metaphysical entities or individuals carrying both decreased initiative and intellectual servility. The man is guided by his own reason, which necessarily take the trace of the action and reaction free his own self and the ethical conceptions of the medium. Etiquetas: Anarchism, What is Anarchism?